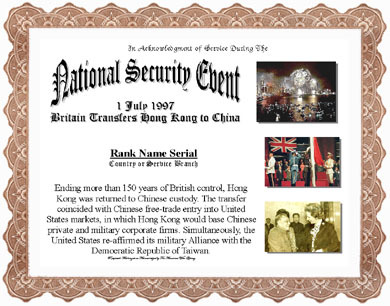 Ending more than 150 years of British control, Hong Kong was returned to Chinese custody. The transfer coincided with Chinese free-trade entry into United States markets, in which Hong Kong would base Chinese private and military corporate firms. Simultaneously, the United States re-affirmed its military Alliance with the Democratic Republic of Taiwan. 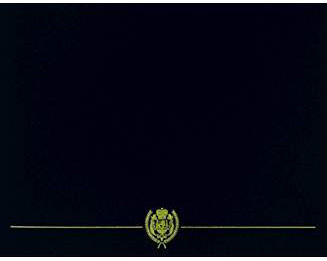 Authorized for Active Duty and Ready Reserve Service service during the Operation Period.